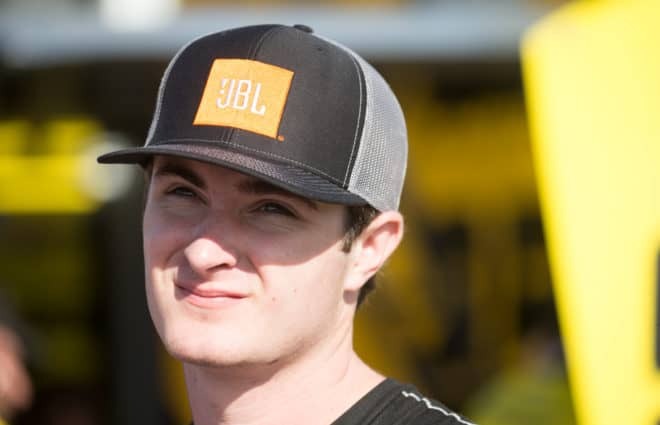 When Kyle Busch Motorsports announced its 2018 NASCAR Camping World Truck Series driver lineup, there was one name that not many people recognized: Spencer Davis. 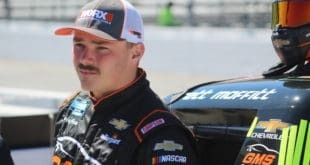 The 19-year-old had been bouncing around the K&N Pro Series, ARCA Racing Series, Whelen Modified Tour, and the CARS Tour for the past several years. His biggest highlight was a win in the K&N Pro Series East race at Dominion Raceway in 2016. Davis placed eighth in the standings that year. The teenager was consistent in all the lower ranks but never dominated any particular series. 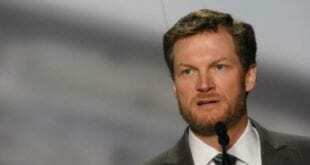 That is why many were surprised when he signed to drive five races in KBM’s No. 51 Toyota Tundra. 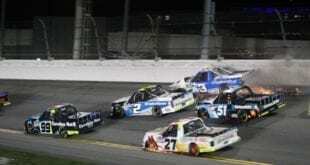 The first one came at the season opener at Daytona International Speedway on Friday night (Feb. 16). But everyone sure knows the name Spencer Davis now. The youngster backed up the team’s decision to put him in the cockpit by nailing a seventh-place finish in his debut. It was far from a fluke. He was competitive throughout the race, pushed a few different drivers to the lead and even contested up front a few times. Most importantly, Davis brought the truck home with minimal damage. The native of Dawsonville, Ga., a place made famous by Bill Elliott, started the race in eighth. He finished 11th in the first stage and 10th in the second one before coming home seventh. However, those stats fail to reflect Davis’ day. “We went to the back, to the front, to the back,” Davis said. One of his biggest moments in the night happened on lap 73. Davis was riding in third place behind John Hunter Nemechek when the right rear tire of Nemechek’s No. 8 truck blew, and Davis had to take evasive action. Davis also dodged the wreck while a massive pileup occurred behind him. That put Davis in position to contend, where he would stay the rest of the race. But the rookie did make one crucial mistake down the stretch. At the time, Davis was pushing his teammate David Gilliland up to challenge for the lead. Davis bumped Gilliland a little too hard in the corner, and it led to the No. 4 Toyota drifting up into the wall. The move thwarted Gilliland’s shot at a win and also stopped Davis’ progress further forward. Davis did not sustain any damage from the incident and continued his strong debut, but he was without a drafting buddy for the rest of the race. He caved in the nose of the truck in the last big crash of the night, but was able to ride it out for his first career top 10. 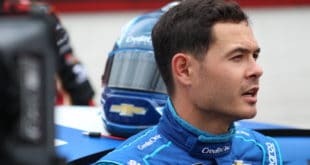 “It’s real cool to race against people like Johnny Sauter, David Gilliland and people I grew up watching,” Davis said. “I look up to these guys.